When Sukie's husband shacks up with her Pilates instructor, her domestic drama becomes the talk of her small Georgia town. Friends from her married life prove fickle, and Sukie hides at home, terrified of encountering the town gossips at the grocery store. 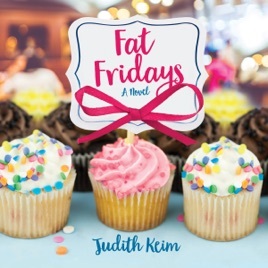 Betsy, Sukie's neighbor, invites her to join "Fat Fridays", a weekly gathering at a local café where the women order whatever they crave - no calories counted. Over sausage pizza and sage advice, Sukie gets a grip on her new life and learns to love her freedom. Judith Keim's warm, funny novel offers moving glimpses into each of the five women's very different lives. As they struggle to deal with cruel exes, frustrating families, and forbidden love, the women offer one another the kind of friendship that is as rich and nurturing as their Friday feasts.